*** Only 5,300 Miles *** - Power Sunroof - Platinum Ultimate Package - Navigation - 5th Wheel Prep Package. This vehicle has been equipped with a back up camera, reverse parking assist system, intelligent access entry, an ultimate trailer tow camera, and a keyless entry keypad. Interior options include premium leather seating, climate controlled front seats, a touch screen radio, adaptive cruise control, Ford Pass Connect, and a leather wrapped steering wheel with mounted controls. 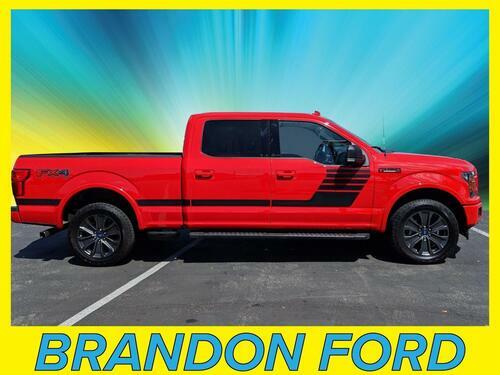 Ford Certified - 7yr/100k Mile Warranty - *** Only 5,800 Miles *** - Navigation - 3.5L EcoBoost Engine - Panoramic Sunroof. 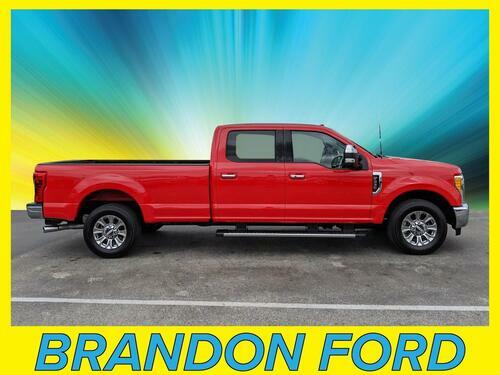 This vehicle has been equipped with a back up camera, reverse parking assist system, intelligent access entry, a power liftgate, 22'' polished aluminum wheels, and power deploy-able running boards. Interior options include premium leather seating, climate controlled front seats, a touch screen radio, remote start system, B&O play premium sound system, and a leather wrapped steering wheel with mounted controls. 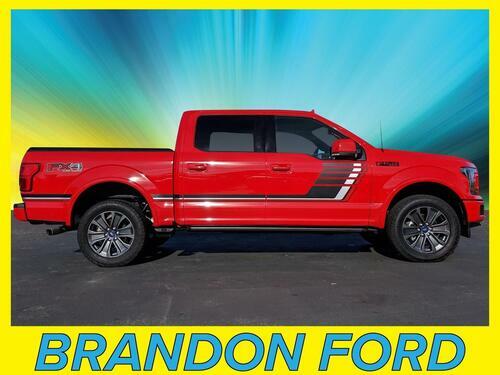 Ford Certified - 7yr/100k Mile Warranty - 3.5L EcoBoost Engine - Panoramic Sunroof - Navigation. 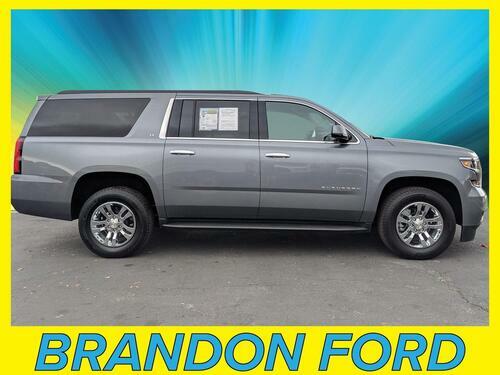 This vehicle has been equipped with a back up camera, reverse parking assist system, power liftgate, 22'' polished aluminum wheels, and power deploy-able running boards. Interior options include premium leather seating, a voice activated sync system, Sirius satellite radio capability, and a leather wrapped steering wheel with mounted controls. 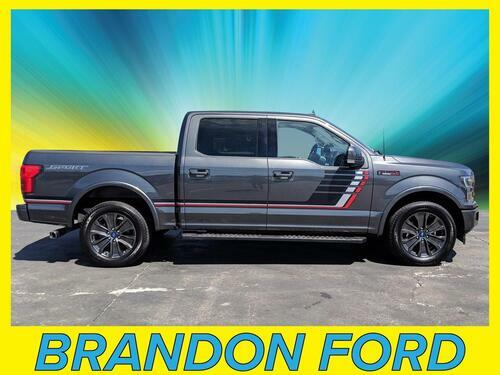 Ford Certified - 7yr/100k Mile Warranty - Twin Panel Sunroof - Lariat Special Edition Package - Navigation. 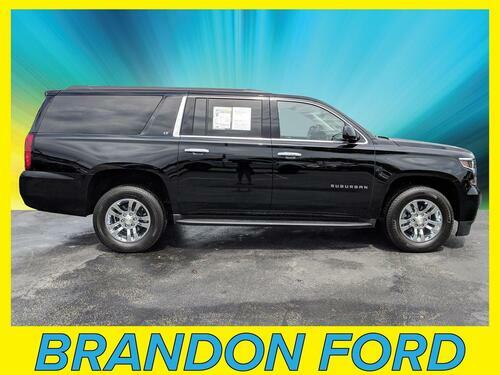 This vehicle has been equipped with a back up camera, reverse parking assist system, power deploy-able running boards, 20'' tarnished dark painted wheels, remote start system, and intelligent access entry. Interior options include premium leather seating, climate controlled front seats, a touch screen radio, voice activated sync system, B&O play premium sound system, and a leather wrapped steering wheel with mounted controls. 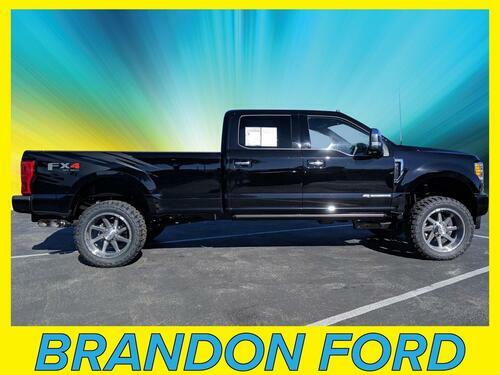 Ford Certified - 7yr/100k Mile Warranty - 3.5L EcoBoost Engine - Twin Panel Sunroof - Navigation - *** Only 1,900 Miles ***. This vehicle has been equipped with a back up camera, reverse parking assist system, 20'' chrome-like wheels, power deploy-able running boards, and a tailgate step. Interior options include premium leather seating, climate controlled front seats, a touch screen radio, voice activated sync system, and a leather wrapped steering wheel with mounted controls. Ford Certified - 7yr/100k Mile Warranty - *** Only 11,700 Miles *** - Twin Panel Sunroof - 3.5L EcoBoost Engine - Lariat Special Edition Package. This vehicle has been equipped with a back up camera, a reverse parking assist system, a trailer tow package, a remote start system, 20'' dark painted wheels. Interior options include premium leather seating, climate controlled front seats, a touch screen radio, Sirius satellite radio capability, power adjustable pedals, and a leather wrapped steering wheel with mounted controls. 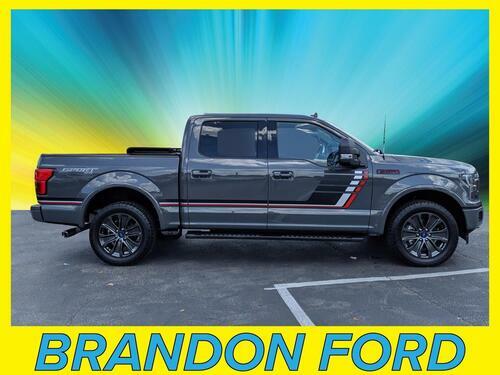 Ford Certified - 7yr/100k Mile Warranty - Twin Panel Sunroof - 3.5L EcoBoost Engine - Lariat Special Edition Package - Navigation. 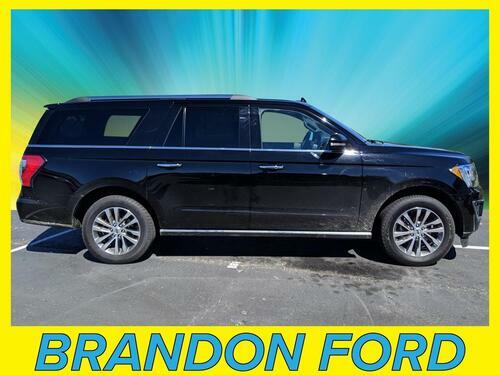 This vehicle has been equipped with a back up camera, trailer tow package, reverse parking assist system, 20'' dark painted wheels, intelligent access entry, and a remote start system. Interior options include premium leather seating, climate controlled front seats, a touch screen radio, voice activated sync system, Sirius satellite radio capability, B&O play premium sound system, and a leather wrapped steering wheel with mounted controls. 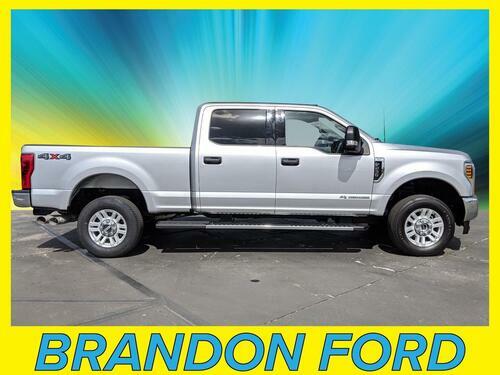 Ford Certified - 7yr/100k Mile Warranty - *** Only 4,700 Miles *** - 3.0L Diesel - Navigation - Technology Package. 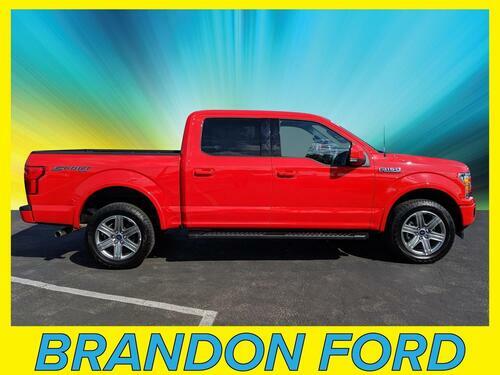 This vehicle has been equipped with a back up camera, reverse parking assist system, 20'' chrome-like wheels, power deploy-able running boards, a remote start system, and a trailer tow package. Interior options include premium leather seating, climate controlled front seats, a voice activated sync system, B&O play premium sound system, adaptive cruise control, and a leather wrapped steering wheel with mounted controls. Ford Certified - 7yr/100k Mile Warranty. 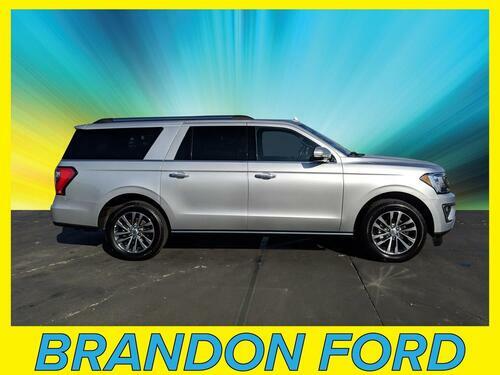 This vehicle has been equipped with a back up camera, chrome running boards, tow hooks, and remote keyless entry. Interior options include premium cloth seating, a voice activated sync system, and steering wheel mounted controls. Ford Certified - 7yr/100k Mile Warranty - *** Only 7,400 Miles *** - Lariat Special Edition Package. This vehicle has been equipped with a back up camera, reverse parking assist system, a remote start system, intelligent access entry, 20'' tarnished dark painted wheels, and a remote start system. Interior options include premium leather seating, climate controlled front seats, a touch screen radio, B&O play premium sound system, adaptive cruise control, Sirius satellite radio capability, and a leather wrapped steering wheel with mounted controls. *** Only 11,700 Miles *** - Navigation. 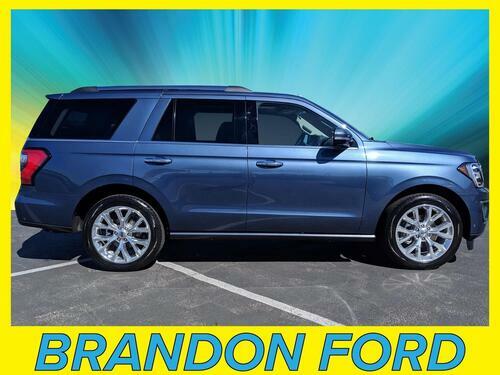 This vehicle has been equipped with forward collision alert, lane departure warning, a premium smooth ride suspension package, and 18'' high polished aluminum wheels. Interior options include premium leather seating, heated front seats, memory driver seat, memory adjustable pedals, a touch screen radio, Bluetooth connectivity, and a leather wrapped steering wheel with mounted controls. 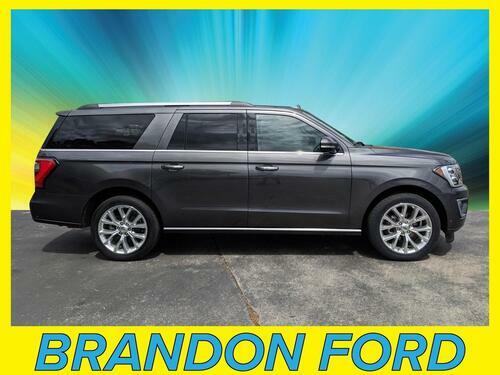 Ford Certified - 7yr/100k Mile Warranty - Twin Panel Sunroof - Navigation - Technology Package. This vehicle has been equipped with a back up camera, intelligent access entry, tailgate step, trailer tow package, pro-trailer back up assist system, and a remote start system. Interior options include premium leather seating, climate controlled front seats, a touch screen radio, premium Sony sound system, voice activated sync system, adaptive cruise control, and a leather wrapped steering wheel with mounted controls. Ford Certified - 7yr/100k Mile Warranty - 3.5L EcoBoost Engine - Connectivity Package. This vehicle has been equipped with a back up camera, reverse parking assist system, trailer tow package, 18'' machined aluminum wheels, and a remote start system. Interior options include premium leather seating, power adjustable pedals, a voice activated sync system, Sirius satellite radio capability, and a leather wrapped steering wheel with mounted controls. *** Only 14,700 Miles *** - Navigation - LT - Premium Bose Sound System - On Star Capability. This vehicle has been equipped with a back up camera, reverse parking assist system, and a power liftgate. Interior options include premium leather seating, heated front seats, a touch screen radio, Bluetooth connectivity, and a leather wrapped steering wheel with mounted controls. 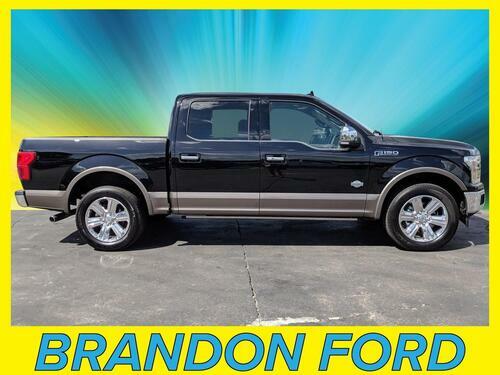 Ford Certified - 7yr/100k Mile Warranty - *** Only 2,600 Miles *** - Lariat Ultimate Package - Power Sunroof - Navigation. This vehicle has been equipped with a back up camera, reverse parking assist system, 18'' chrome aluminum wheels wheels, boxlink tie downs, and a keyless entry keypad. Interior options include premium leather seating, climate controlled front seats, a touch screen radio, a voice activated sync system, and a leather wrapped steering wheel with mounted controls. 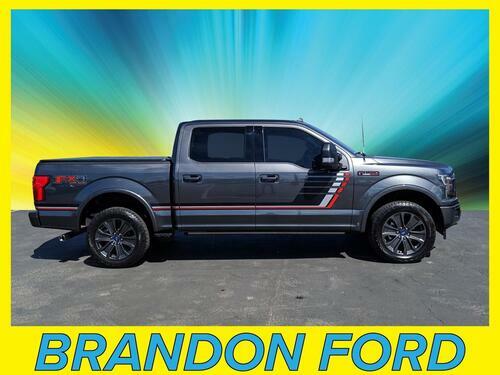 Ford Certified - 7yr/100k Mile Warranty - 5.0L V8 Engine - Navigation - Twin Panel Sunroof - Lariat Sport Appearance Package. 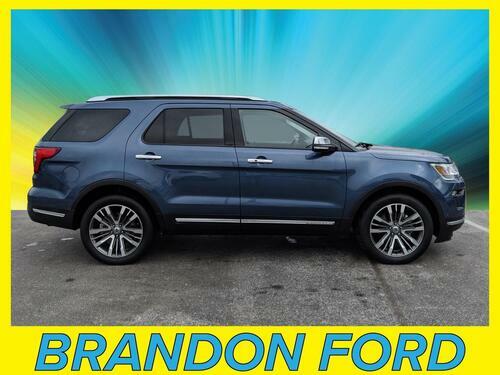 This vehicle has been equipped with 20'' six-spoke painted aluminum wheels, a spray in bedliner, intelligent access entry, back up camera, reverse parking assist system, and a remote start system. Interior options include premium leather seating, climate controlled front seats, a voice activated sync system, a touch screen radio, adjustable pedals, and a leather wrapped steering wheel mounted controls. 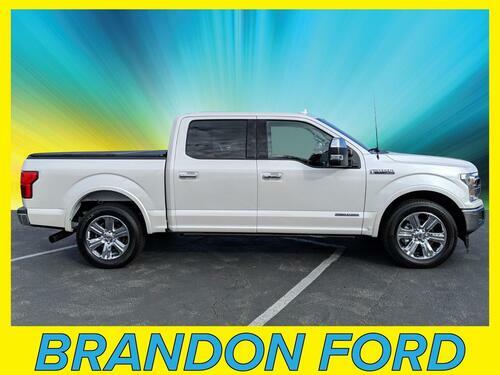 Ford Certified - 7yr/100k Mile Warranty - *** Only 14,500 Miles *** - Navigation - Power Sunroof. This vehicle has been equipped with a back up camera, reverse parking assist system, a power liftgate, intelligent access entry, 20'' bright machined wheels, and a remote start system. Interior options include premium leather seating, climate controlled front seats, a voice activated sync system, a touch screen radio, Sirius satellite radio capability, and steering wheel mounted controls.